The best shot-makers for your buck, including a $280 machine that's perfect for novice brewers. 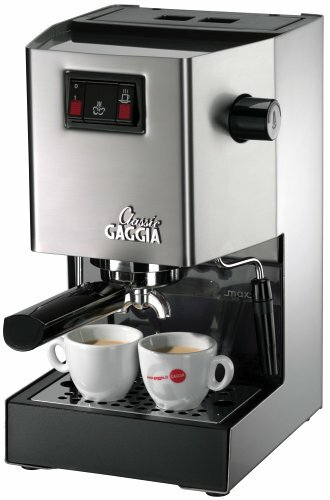 A drip coffee machine is a necessity; an espresso maker is an extravagance. But making your own lattes, red eyes, and ristrettos is a fantastic way to start your day and, if you’ve been buying those beverages from a coffee shop, a great way to save some cash. The good news is that if you’re in the market for an espresso machine, there’s never been a better time to buy one: a blitz of technological improvements mean you don’t have to be a trained barista to pull a morning shot. But even though you don’t need to drop $14,000 on a La Marozcco Linea EE, an espresso machine is still a big purchase. It’s also hard to shop for, with the specific preferences of demanding connoisseurs resulting in some highly technical differences between machines that make it hard to tell what’s worth the money and what isn’t. She recommends looking for a few different features in a home espresso machine. First, it needs to have a good boiler system that will deliver water at a temperature of at least 195 degrees with at least nine bars of pressure. You also want a basket that can hold a larger amount of coffee, so you can put in enough grounds to suit your taste. You’ll want a double boiler if you always froth milk, but it’s not required. What is, however, is a system that can guarantee no loss of pressure if you are frothing while pulling a shot. And she recommends avoiding pod-based machines. “You will pay at least 250 percent more than you would just grinding your own beans, plus the coffee’s not that good and they are an environmental mess.” Her picks for the best home espresso machines differ wildly in price and feature set, but they give you the ability to make quality shots in the comfort of your own kitchen. 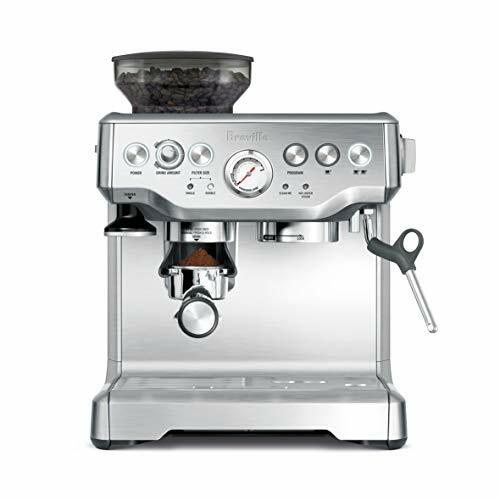 LittleJohn says this semi-automatic espresso machine is ideal for the espresso lover who wants to pull good shots without the neurotic knowhow required of some other machines. 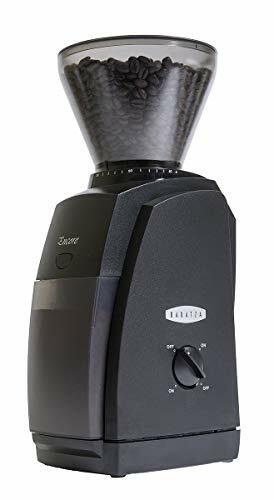 It has a built-in burr grinder that conveniently holds a half pound of beans in a sealed hopper on top. With the push of a button, it delivers freshly ground coffee into the portafilter. Pros: The tank holds half a gallon of water and heats it with a Thermocoil system that delivers consistent steam every time. One important caveat: the hopper makes it a bit taller than other machines, so make sure you have ample vertical space where you plan on placing it in your kitchen. Cons: The top and sides are plastic and will crack if hit hard. If you are a solo espresso drinker, who has limited counter space, you don't need a fully tricked-out monster of a machine. Invest in this one instead. Pros: It’s cute, it’s compact, it fits anywhere, and in less than one minute, you get your powerful cup of Joe. Cons: You need those capsules, and they’re not cheap. If you’re thinking about getting an espresso machine, but don’t want to drop the big bucks, LittleJohn says this is the machine for you. It takes only 40 seconds to heat up, pushes 15 bars of pressure for decent flavor extraction, and lets you adjust the flow length to customize your espresso. Pros: The black and chrome espresso machine, has just three illuminated buttons, so it’s also dead simple to use. Its slim profile (13 inches tall by just 6 inches wide) means it will fit just about anywhere and it’s easy to remove the water tank for refills. The basket can hold enough grounds for two drinks at once. It’s also compatible with E.S.E Pods (the non-plastic variety, the only kind of pod you should consider using). If cappuccinos are more your style, the manual frothing wand makes it easy to whip up some foam quickly. “This is a decent machine will make good coffee, but probably won’t last more than three years depending on how much you use it,” says LittleJohn. 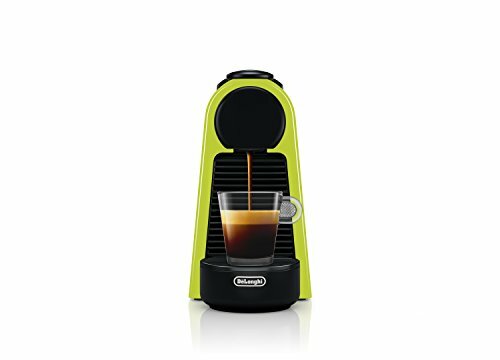 At less than $300, however, it’s worth picking up if you’re not sure how much use you’ll get out of an espresso machine. Cons: There are some complaints of the boiler springing leaks after a while. One of the most important items every budding barista should have in their home is a good grinder. Pros: “There is a big debate in the industry about what is more important, the machine or the grinder,” says LittleJohn. “Both are equally crucial.” She’s a fan of this burr grinder, which offers 40 different settings that will turn out precisely ground beans from the top-mounted, eight-ounce hopper on top at the touch of a button. Cons: It can be messy and leave you with a bunch of excess grinds. This single-serving espresso machine is error-proof and you get a perfect cup every time. Pros: This is an uncomplicated one-touch espresso machine that gets you your caffeine jolt with zero drama. It has an extra large 54 ounce water tank and a 17-count used capsule container. It heats up in 15 seconds, and has automatic shut-off. Cons: You have to buy capsules, which aren’t cheap, and are wasteful. 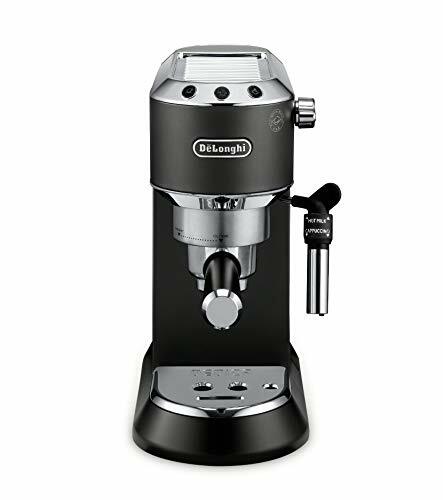 We love this affordable and user-friendly espresso machine, which lets you extract one or two espresso shots at a time and includes a steam wand for steaming and frothing milk. 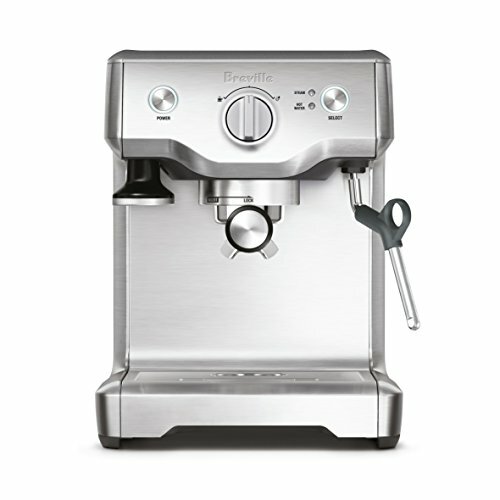 Pros: Breville is synonymous with quality, and this espresso machine is no exception. It’s precisely engineered to serve you golden, creamy coffee every single time. At the perfect temperature. And it’s easy to clean, thanks to built-in alerts. Cons: It can be too loud for some coffee drinkers. This is a solid entry-level espresso machine. It comes with a commercial basket for easier shot pulling. Pros: We’re into the fact that it’s ready to brew in five minutes, and is steam-ready in 20 seconds. 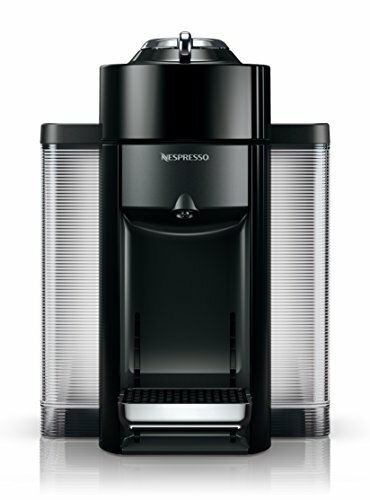 Plus, it’s got heavy-duty controls that let you flip between brewing, steaming, or hot water. You also get a three-way solenoid valve that relieves pressure off the coffee for a dry puck that’s mess-free and easy to dump. Cons: It can be a total pain to clean.